Throughout history, chocolate and cacao has been purported to have medicinal properties, and especially in the modern age, there is increased emphasis on the health benefits associated with these ingredients. In the processing of cacao, there are numerous points where the chemical composition is changed in some manner, which in part contributes to the unique flavor profile of chocolate. Generally, the process encompasses the same set of operations such as fermentation, drying, and winnowing, but a significant point of distinction occurs during the creation of cocoa powder. With the two conventional forms of cocoa powder, natural and Dutch process, there is a significant variation in terms of the product. The Van Houten family is generally attributed with the process necessary for creating cocoa powder as well as the techniques for making cocoa more palatable through the Dutch process. As the Dutch process is noted to affect flavonoid and antioxidant levels, there are limitations in terms of health benefits as a result of this processing that are removed from natural cocoa powder, despite historical arguments for similar benefits. To contextualize the distinctions between the two types of cocoa powder, it is important to understand their historical development as well as modern examinations. In the early 19th century, chocolate had become relatively ubiquitous, but there were many issues with the ease of consumption and the quality of the taste. Coenraad van Houten and his father, Casparus van Houten, are attributed with the development of a technique that utilizes a hydraulic press to remove over half of the cocoa butter from the beans (Robbins and Coe 2006). The additional byproduct of this process was a brick of cocoa solids, which could be turned into natural cocoa powder. As this cocoa powder retained the chemical compounds naturally found in cacao, many of the potential health benefits arguably are retained after this process (Minifie 1970). Perhaps the more significant contribution of Coenraad van Houten is the process known as “Dutching,” which involved treating the natural cocoa powder with alkaline salts with the goal of making the powder more dissolvable (Robbins and Coe 2006). This process proved transcendental as it not only improved the creation of chocolate drinks, but it also alleviated some of the bitterness associated with cacao and created a more intense color for the cocoa powder. However, this “Dutching” process indeed alters the chemical composition of the cocoa powder, and thus potentially affects the medicinal benefits of chocolate (Minifie 1970). Alongside the significantly improved solubility of cocoa powder, this new product also opened the door to produce chocolate bars and other varieties of chocolate products. Regardless of the changes caused by the alkalization of cocoa powder, the Van Houten company that initially manufactured Dutch process cocoa, as it become commonly known as, had aggressive campaigns that emphasized the health benefits associated with cocoa powder consumption. To overcome the stronghold on drinks that tea and coffee seemed to have, this variety of cocoa was seminal in the rise of chocolate as a consumed good throughout the world (Van Houten’s Cocoa). Additionally, given the new-found ability to create chocolate bars, the Dutch process cocoa occupied a substantive sector of the market without a proper grasp of what was truly healthy about it. With little to no actual understanding of why chocolate and cocoa were healthy, companies were able to leverage these supposed health benefits for immense capital gain. 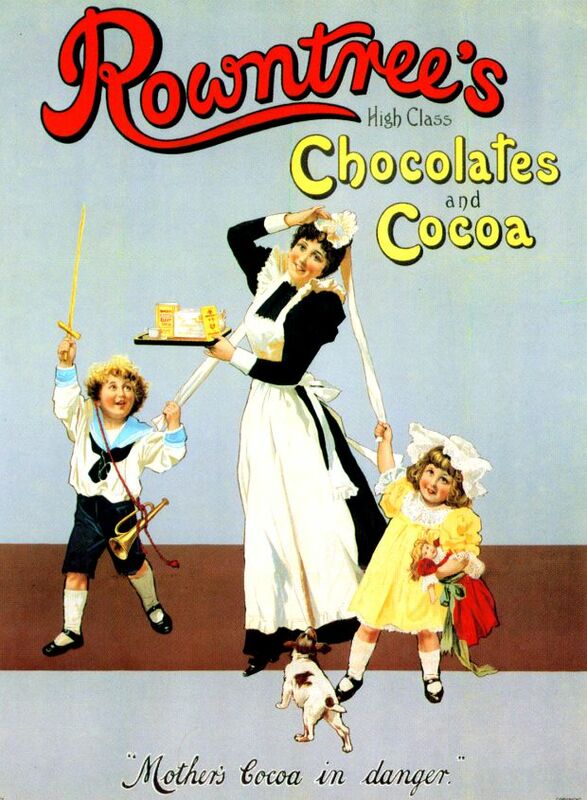 An early van Houten’s advertisement from the 1890’s that pushes the healthy narrative of chocolate and cocoa. Alongside these marketing ventures, it is also essential to consider the official classification for what constitutes chocolate. With the introduction of these new processing techniques, chocolate was essentially bastardized to a point beyond traditional recognition. Therefore, as large manufacturer’s like Cadbury and Nestle introduction new products like milk chocolate, these products began to deviate immensely from the chocolate drinks that Van Houten aimed to modernized (Leissle 2018). Furthermore, as other additives became increasingly prominent within cocoa powder and subsequently chocolate, it became difficult to classify what truly could be considered authentic chocolate. With the creation of the first chocolate bar by Joseph Fry in 1847, sugar and cocoa butter were added to the Dutch process cocoa to make it more palatable (Leissle 2018). In the mid-20th century, the health benefits associated with chocolate had largely subsided as the sugar and fat levels continued to increase dramatically. As sugar and fat became villainized in terms of their detrimental health effects, chocolate suffered a similar fate, so the purported medical benefits were put on the back burner (Rasmussen 2012). Given the shifted emphasis of what constitutes health, chocolate at some point during this span transitioned from being a food with purported health benefits into an unhealthy product. In the modern era, chocolate had been essentially demonized for its hedonistic and unhealthy nature, but there are trends that also aim to counteract these movements. Through historical and scientific approaches, chocolate is essentially at the intersection of healthy and unhealthy foods. Given the high amounts of sugar and fat found within common varieties of chocolate, chocolate is partly responsible for the obesity crisis within the United States (Rasmussen 2012). On the other hand, modern longitudinal studies have suggested potential long-term health benefits associated with moderate chocolate consumption. However, it is important to contextualize these results given the amount of money within the modern chocolate lobby. To counteract the negative publicity surrounding chocolate, many positive studies are funded by chocolate and cocoa interest groups, which skew the results to favor the health benefits of chocolate (Fleming 2018). While it is difficult to truly assess the health benefits of chocolate, there are methods of measuring absolute levels of certain chemical compounds that are known to have beneficial health effects. The composition of cacao itself is noted to have caffeine, flavonoids, antioxidants, and a variety of minerals (Li 2012). However, the process of “Dutching” has been shown to decrease the relative levels of these healthy compounds through the reaction with alkaline salts (Miller 2008). Furthermore, the stereochemistry of common flavins was shown to be altered, which means that “healthier” flavins are lost through the “Dutching” process (Hurst 2011). Therefore, despite the struggle to understand the exact health benefits associated with cocoa and chocolate, the ubiquitous usage of the Dutch process does lower the health value of cocoa and chocolate. A figure that demonstrates the changes that flavins undergo when placed under the conditions of processing cocoa and in particular the Dutch process (Image from Hurst et al. 2011). Overall, the perception of chocolate as a health food has varied throughout history and remains enigmatic. Chocolate used to have an elite status of providing exceptional nourishment, so the Dutch process was pivotal as it increased accessibility to such a sought-after food. However, the repercussions of the Dutch process were also immensely influential as the production of chocolate bars and variations of chocolate began to arise. As this processing became ubiquitous, the purity of chocolate was diluted with significant increases in the proportion of sugar and fat that comprised the food. With the strength of the modern chocolate lobby, the reputation of chocolate has been widely restored, but the purported health benefits are up for further discussion. The single innovation of the Dutch process snowballed into the modern chocolate industry and is responsible for shifting the paradigm of whether cacao was healthy to if the bastardized version of chocolate has nutritional value. Even after all this analysis, it brings us back to the question that plagues us all. Is chocolate healthy? Fleming, Nic. “The Dark Truth about Chocolate.” The Guardian, 25 Mar. 2018, www.theguardian.com/lifeandstyle/2018/mar/25/chocolate-the-dark-truth-is-it-good-for-you-health-wellbeing-blood-pressure-flavanols. Hurst, W Jeffrey, et al. “Impact of Fermentation, Drying, Roasting and Dutch Processing on Flavan-3-Ol Stereochemistry in Cacao Beans and Cocoa Ingredients.” Chemistry Central Journal, vol. 5, no. 1, 2011, p. 53., doi:10.1186/1752-153x-5-53. Li, Yue, et al. “The Effect of Alkalization on the Bioactive and Flavor Related Components in Commercial Cocoa Powder.” Journal of Food Composition and Analysis, vol. 25, no. 1, 2012, pp. 17–23., doi:10.1016/j.jfca.2011.04.010. Miller, Kenneth B., et al. “Impact of Alkalization on the Antioxidant and Flavanol Content of Commercial Cocoa Powders.” Journal of Agricultural and Food Chemistry, vol. 56, no. 18, 2008, pp. 8527–8533., doi:10.1021/jf801670p. Minifie, Bernard W. Chocolate, Cocoa and Confectionary: Science and Technology. Avi Publ., 1970. Rasmussen, Nicolas. “Weight Stigma, Addiction, Science, and the Medication of Fatness in Mid-Twentieth Century America.” Sociology of Health & Illness, vol. 34, no. 6, 2012, pp. 880–895., doi:10.1111/j.1467-9566.2011.01444.x. Robbins, Carol, and Michael Coe. “The True History of Chocolate.” Dallas Museum of Art, 20 Apr. 2006, http://www.dma.org/sites/default/files/transcript/TrueHistoryChocolate_public_0.pdf. Accessed 14 Mar. 2019. Van Houten’s Cocoa. “There Is No Nourishment In Tea or Coffee, but Plenty in Cocoa Especially in Van Houten’s.” Dutch Innovation, 29 May 2013, d1oww3ejuoh8m6.cloudfront.net/wp-content/uploads/2013/05/vanhouten-542×385.jpg. “Van Houten’s Cocoa.” Alchetron, 4 Mar. 2018, alchetron.com/cdn/coenraad-johannes-van-houten-32ec3165-8809-4b1b-aeb7-63893a18afd-resize-750.jpeg. “Van Houten’s Cocoa Press (1828).” World Standards, http://www.worldstandards.eu/images/cocoa press.jpg. There is a revolution going on in America. It exists as almost a counter to the industrial revolution that drove this country forward a hundred years before it. Craft artisans are taking over in the wake of a society that has been built by mass production. As this revolution moves across foodstuffs, it is of no surprise that craft chocolate is currently on the rise. However, it is important to understand why this revolution is taking place now, and some of the hurdles it must overcome to continue its success. Currently two chocolate companies, Hershey’s and Mars, account for over 50% of chocolate sales in the U.S. (Euromonitor, 2017). It should be of no surprise that these two particular companies own so much of the market share. They were both founded on the idea of bringing chocolate, which was previously a luxury treat, to the masses. Milton Hershey was a pioneer in mass production, revolutionizing and streamlining much of the industrial process. Hershey’s team discovered that by using condensed sweetened skim milk they could create a product with longer shelf life and that blended easily with cocoa powder. This meant that not only could he ship his chocolate bars further, but lasting longer on the shelf meant less profit losses due to spoilage. Hershey also looked at supply chain optimizations, investing in his own dairy farms and even building a sugar mill operation in Cuba, complete with its own railroad. This allowed Hershey to control both the costs of commodities for his chocolate bar and the quality. Mars, on the other hand, was more successful due to marketing than anything else. His Milky Way bar (which originally sourced chocolate from Hershey) was more nougat than chocolate, making it larger on shelf and seem a comparatively good value to the Hershey bar. That said, both had the same result, taking an indulgence that was once almost exclusive to the wealthy and middle classes and democratizing it for every day enjoyment. Mass production allowed for chocolate to be produced cheaper, allowing those savings to be passed on to the consumer – or more importantly, from a marketing sense, for them to outprice their competitors. But while price is important, so are the products themselves. While it may have taken a while for consumers to acclimate to the flavor of Hershey’s and Mars bars when they first came on the market, the particular blend of milk, sugar and other ingredients insured that they were universally palatable and they now exist as the template for what we expect chocolate to taste like. Similarly, both companies have hero products that are specifically designed for easy consumption. Both Hershey’s Kisses and M&Ms were made for portability (individually wrapped/ melts in your mouth, not in your hand) and their small, poppable size makes it easy for consumers to lose track of mindfulness and eat large quantities in one sitting. These products have other advantages, as they are easily adaptable to innovation. As consumers are desiring more variety and novelty across the board, these products have proven to be the most flexible in introducing new flavors – and easily acceptable to consumers who are familiar with their form and have built brand trust. These companies have leveraged seasonality, larger cultural trends, and limited time offers to drive new product news and sales. So, if big chocolate is designed for palatability and companies are responding to consumers desires for more interesting, topical flavors, why are we seeing a proliferation of craft chocolate providers? When we look at the numbers, the story becomes more telling. When looking at sales growth, mass chocolate has remained flat year over year (CSP daily news, 2016). This despite their innovation and the fact that chocolate consumption overall is growing. Instead, the growth seems to be predominantly driven by premium and craft chocolates, suggesting not just changing tastes, but a changing attitude about where our food is actually coming from. There is growing negativity towards giant corporations and conglomerates, particularly when it comes to food. From an economic standpoint, consumers have watched as these corporations get massive tax breaks which have translated into bonuses for the executive suite, while the working class continues to struggle. While this issue impacts most major corporations, it is of particular concern when it comes to the chocolate industry and growing awareness around fair labor practices, forced labor, child labor and the ethical price people pay for their chocolate. There is a lot of skepticism that these companies will make ethical choices when given the opportunity, particularly when people see so many examples in the news of them pursuing profits over people, such as Nestle bottling drinkable water in the middle of the Flint, Michigan water crisis (the guardian, 2017). More and more often, buying in to big brands feels like an investment against your own interests. The sheer nature of big brands as they fold in to one another may be working against them. “When you have increasing concentration of producers in the center, you leave room on the periphery for specialization,” says Elizabeth G. Pontikes, associate professor at the University of Chicago’s Booth School of Business. (Shanker, 2017) In other words, these multinational conglomerates are creating their own sea of sameness. In a society that is increasingly valuing individuality, particularly when it comes to the millennial and younger generations, brands and products that lack differentiation also lack appeal. We can see this even in the most famous of branding cases, Coke vs. Pepsi with beverage drinkers now migrating to new choices like LaCroix and energy drinks. The obvious choice might be for these mass chocolate brands to create verticals that touch these periphery spaces, but they have struggled breaking in. Hershey’s introduced their Cacao Reserve premium line in 2006. The brand lasted three years, suffered several price drops and the need for mass market advertising support, before they dropped it from store shelves. (Thompson, 2007) Their next move was to build their premium line using borrowed equity. At the same time they launched Cacao Reserve, they purchased Scharfeen Berger, a premium line of chocolates out of California. As they pushed to mass market the brand, they switched suppliers, using cheaper beans from West Africa. The result was severed relationships with brands like Whole Foods, who were concerned that Hershey’s could not guarantee that the beans weren’t sourced through child labor (Bloomberg, 2017). The brand has somewhat rebounded, but the initial loss is still being recovered, and leaves the question as to whether or not big brands can ever play credibly in the premium/ craft space. The obesity crisis in America was a wake up call about the food we consume and how it is being produced. A series of films, articles and exposes, while at times misleading and ignores the true labor of food, caused people to rethink what they are getting out of processed food. The consumer take-away was that mass produced food lacks quality and nutritional value, is predominantly artificial fillers, and is potentially detrimental to your overall health. Quality, whole ingredients, and care has become increasingly synonymous with healthfulness, regardless of traditional markers like fat and calories. While all of these things make craft chocolate more appealing, it still has hurdles to overcome to convince people to pay the enormous price tag that comes along with it. As noted, industrial chocolate is the baseline for people’s orientation to what chocolate should look and taste like, as well as what it should cost. For Craft chocolate to succeed, they don’t just need to overcome the shift to premium pricing, they need to overcome expectations set by mass market chocolate. There is a need to educate people on to the true value of the chocolate they are consuming and the difference that craft chocolate provides. There are four key ways in which craft offers a point of difference that both provides a difference that supports craft’s value proposition and requires consumer education: process, taste, ingredients and sourcing and ethics. Over time, manufactures have swapped out real ingredients for cheaper artificial substitutes such as vanillin instead of vanilla. (Martin-Sampeck, 2016). This has impact on the flavor, consistency and mouthfeel of the chocolate itself. Craft chocolate’s smaller production model in of itself creates a different end product, but some companies have gone further, focusing on minimizing the process. Taza chocolate, a bean to bar company located in Somerville, MA, takes great pains to educate consumers as to their process. They describe their bars as “chocolate with true grit.” Their mission is to return chocolate to its pre-industrial roots. They believe that less processing allows for more complexity in flavors. Their chocolate is stone ground on hand carved molinos (mill stones) with little refinement between that and the end product. The result is, to their description, a chocolate bar that lacks the smoothness that consumers have come to expect, but with a stronger chocolate flavor and more complexity in experience overall. Historians have theorized (incorrectly) that when chocolate came to the old world, that it was appropriated to suit Europeans’ tastes (Norton, 2016). In fact, chocolate’s evolution from its new world form to the substance we know today was a process that took over a century of innovation. The chocolate that Europeans first enjoyed was a fairly close recreation of how it was consumed in Mesoamerica. The Europeans had just acquired a taste for it. That said, they had a lot of motivation to do so – chocolate was seen as exotic, a luxury (due to both its scarcity and use as currency), and had potential new health benefits. Additionally, unlike today, there was no basis for comparison. For today’s consumers, their palates have been educated in the world of mass produced chocolate – and what they have come to expect is a very sweet, creamy, almost single note experience. Craft chocolate, on the other hand, leans in to chocolate’s bitter notes, and offers way more complexity. Not only do consumers need to adjust to the new flavor profile, but they need help recognizing the flavor notes to truly appreciate the difference they are getting from craft. In this they set expectations that their chocolate will be less sweet and have more complexity of flavors. To further support that, their packaging calls out the specific flavor notes that the chocolate bar offers, much in the way that wine and craft beers call out tasting notes. XOCOLATL, a “micro-factory” chocolatier out of Atlanta similarly looks to highlight chocolate’s natural flavors. Their bars are blended with spices and other elements that call out chocolate’s flavor components. For example, their Americana bar contains no apples, but uses familiar pie spices to highlight that quality within the chocolate. While mass chocolate uses the blending of not only several different types of beans, but beans from multiple locations, there is a rising trend in single origin chocolate. This has arisen both out of an increased interest in food provenance and small chocolate purveyors interest in highlighting the different unique flavor profiles of the beans. (Norton, 2013) By doing so, they are able to not only show off the different flavor varietals, but capitalize on the exotic locales to add a sense of rarity and uniqueness to their product lines. Amedei Chocolates, a craft company out of Tuscany, Italy, builds their sourcing education in to their product offerings. Each of their bar product lines serves as an exploration in the difference that cacao content, origin and the beans themselves can make. Their Toscano Black line offers three different (though relatively close) percentages of dark chocolate – 63%, 66%, and 70%. Their cru product line is all single origin dark chocolate – allowing consumers to taste the subtle differences between each region. But where they go one step further than many bars is to focus and educate consumers on the strains of cacao available. They offer both a Blanco de Criollo and a Porcelana bar. The external packaging on each features a botanical drawing of the bean. The inside explains the history, origin and flavor notes. For the Porcelana bar, it notes the Venuzuela plantation, it’s small production of only 3,000 kilos of beans, and the rarity of this particular strain. Tasting notes are described as “toasted almonds that alternates with pressed olives.” This reinforces the specialness of the bar and the unique experience that it offers, while simultaneously pushing the consumer’s palate to recognize more subtleties in flavor. One of the major challenges in the chocolate industry overall is the issue of labor practices and sourcing. Even setting aside the more dire problems of forced and child labor, very little of the profits made from chocolate sales actually makes its way back to the farmers that grow it. While there are a variety of certification schemes (i.e. Fair Trade, UTZ Certified, IMO Fair for Life), the cost of participating is high, and consumer demand has yet to drive a higher price in goods that can be translated back to the farmer. (Martin-Sampeck, 2016) Additionally, there are those who don’t think that programs like Fair Trade go far enough, and result in a minimal profit increase for the farmer. Companies like Taza and Askinosie chocolates instead have focused on direct trade, which cuts out middlemen and insures that more profits go back to the hands of the farmers. Askinosie notes on their website “we hold the craft and quality of our chocolate in almost equal balance with doing as much good as we can in the world.” As part of educating consumers at to the importance of direct trade, their bars feature the actual farmers that they work with on the front. The back label tells that person’s story, how they became acquainted with Askinosie chocolate, and how their contribution insured the quality of the product you are holding. It also features the following guarantee: A stake in the Outcome. We guarantee to our farmers more than fair prices, open books and a share in our success. In the way that they tell the story of their trade relationships, Askinosie doesn’t just insure the consumer of the ethics of their bar, they humanize it and translate that in to a real value to the consumer in the quality and craft of the final product itself. Craft still has some educational and orientation challenges to overcome, but as more and more people migrate away from big food and big chocolate, the opportunity to create a wider variety of chocolates leveraging ethical sourcing and quality ingredients remains as promising and sweet as the product itself. Brenner, Joel. 2000. The Emperors of Chocolate: Inside the Secret World of Hershey and Mars. Coe, Sophie D., and Michael D. Coe. 2007 (1996) The True History of Chocolate. D’Antonio, Michael D. 2006. Milton S. Hershey’s Extraordinary Life of Wealth, Empire, and Utopian Dreams. Martin, Carla and Sampeck, Kathryn. 2016. “The Bitter and Sweet of Chocolate in Europe.” pp. 37-60. Chocolate: Good for the soul, but good for your health? For many people, including myself, chocolate is the ultimate treat. Like most other treats, however, I try to enjoy in moderation because although it would increase my happiness, it would probably increase my waistline as well. Sometimes, I am able to justify it because I see studies in the news saying that dark chocolate can be good for you, or that by buying this fair trade, ethically sourced, organic, and environmentally conscious chocolate will help save the world! There’s a lot of conflicting information for consumers about whether or not chocolate is healthy for you. And after taking this class, I have realized that chocolate’s relationship with health has shifted and changed since chocolate has been consumed. From early Mesoamerican medicinal uses of chocolate and Baroque Europe’s interpretation of chocolate and humors, to modern industrialization of chocolate, scientific research on chocolate, and confusing and conflicting marketing for chocolate, our understanding and use of chocolate as medicine and as a health food has evolved over time. As different societies and cultures discovered cacao over time, they had to ask themselves if “chocolate good, bad, or indifferent for one’s health” (Coe 122)? Even though we have made enormous strides in understanding medicine and health, this question is still relevant for all chocolate consumers today as we try and navigate science, research, and our own desire for justifying our chocolate consumption. Chocolate has completely morphed from a highly regarded medicinal tool to a mostly over-processed commonplace treat whose deceptive marketing confuses consumers and clouds their judgement in making healthy decisions and takes away from the health benefits that can come from consuming high quality chocolate in moderation. codices, highlights the various ailments that cacao can treat and helps to demonstrate how highly valued it was in curing people from a massive range of health issues. Unlike much of modern medicine, medicine at this time was much more holistic and cacao was just botanical piece of a much larger of a health puzzle that incorporated religion, rituals, class, and botany. Like many treasured and cherished substances, cacao was often reserved for the elite and was not fully accessible to all walks of life (Lippi). Although modern medicine and science would suggest that cacao would not necessarily be a powerful medicine with lots of healing success, Maya “royal rulers consumed vast quantities of it in their banquets, and archaeology has proved that they were in better health and lived far longer than their chocolate-deprived subjects” (Coe 32). The Mesoamericans were some of the first people to value and consume cacao, and truly believed in its powers to help heal. Baroque Europe. One of the biggest changes was that “the Spaniards… stripped it of the spiritual meaning which it had for the Mesoamericans, and imbued it with qualities altogether absent among the Aztecs and Maya: for the invaders, it was a drug, medicine, in the humoral system to which they all adhered” (Coe 126). For the Mesoamericans, cacao had cultural, religious, ritualistic, and medicinal uses, whereas when it made its way over to Europe it was just used for sustenance and medicine. Further, the way in which the Spaniards used it for medicine was completely different than the way that the Mesoamericans used it. The Galenic theory of humors, which was a large driving force for understanding health and medicine at this time, suggests that the body contains four humors: hot or cold, and dry or moist (Coe 127). A healthy body must have all four humors balanced, and the Spaniards used cacao as a tool to find balance within their bodies. Philip II’s Rolyan Physician Francisco Hernandez after learning more about cacao, found it to be a powerful medicinal tool because “The cacao seed is ‘temperate in nature,’ but leaning to the ‘cold and humid’; on the whole, it is very nourishing” (Coe 122). Because cacao on its own was considered cool, it was believed at the time that drinking cacao could help cure someone when they were too hot or had a fever. However, because it was considered relatively neutral, it could be manipulated to cure other ailments but adding different spices. For example, adding a spice like mecaxochitl would make the cacao ‘hotter’ and therefore could be used to cure other ailments associated with being too cool (Coe 122). The Europeans during this period interpreted cacao as medicine in a completely different way than their cacao consuming predecessors did; by dropping the religious significance and viewing cacao as a tool to balance out the body they morphed cacao’s medical use and significance to something of their own. As history progressed, cacao’s role in medicine became less and less prominent. With the development and advancement of medicine, cacao was no longer used as medicine. Further, with the widespread accessibility to chocolate due to manufacturing, chocolate completely morphed from the days of sugarless cacao beverages to the chocolate that we know and love today. Chocolate’s cultural significance slowly changed and morphed into a more commonplace, everyday treat because of various factors like accessibility, change in the way its produced, and change in what ingredients go into it. Before modern medicine developed, it made sense that cacao was used as a medicinal tool. Now, however, our society thinks about chocolate more holistically in terms of how it affects our overall health rather than a cure for an ailment. One of the biggest changes for chocolate that made it more accessible was the commodification and industrialization of chocolate. It was not until the late nineteenth century that the food industry became industrialized with the development of preservation, mechanization, retailing, and transportation (Goody 72). Foods were now able to be preserved for longer with canning and refrigeration, could be standardized and have easier, consistent packaging with mechanization, were sold in closed stores instead of open markets, and could be transported all across the country for more accessibility to the masses (Martin, Lecture). These changes not only made food much more accessible to the masses, but also made it significantly cheaper and “in 1898 in the United States a dollar bought forty-two percent more milk, fifty-one percent more coffee, a third more beef, twice as much sugar, and twice as much flour as in 1872” (Laudan 41). For example, Milton Hershey’s Hershey’s chocolate was able to grow into the brand that it is today because of industrialization. After Hershey was able to find their perfect recipe that differed greatly from traditional European chocolate, they worked on “refining the process and adapting it for large scale production. By the winter, the new factory building alongside Spring Creek was covered by a roof and workers were quickly outfitting the interior. Two railroad spurs were being built to connect the plant to Philadelphia and Reading Railroad” (D’Antonio 108). Industrialization gave Hershey the ability to produce and distribute its chocolate quickly and cheaper; however, this did sacrifice the quality. Chocolate products tried to figure out how to minimize the amount of actual cacao that was in them, and the result was that “these hyperpalatable products get the bulk of their calories from a few cheap commodities (corn, soy, wheat) flavored with cheap fats and cheap sweeteners” (Kawash 26). Rather than consuming high quality chocolate with a high percentage of cacao, it was easier and cheaper to load up these products with sugar and transform much of chocolate into candy. By decreasing the cacao and increasing the sugar and fat, mass produced big chocolate has become unhealthy. Chocolate’s popularity began to shift in the mid twentieth century and people began to view chocolate as unhealthy and dangerous. For most of chocolate’s history it was thought to be medicinal, healing, or simply neutral/not having much influence on one’s health, but for the first time it was viewed as unhealthy and bad for you. The temperance movement, which was very anti-alcohol and intoxication slowly began to include chocolate and people believed that chocolate could act as a gateway to other dangerous habits like drinking and gambling (Martin, Lecture). Although believing that consuming chocolate and candy would lead to a life of sin seems dramatic today, chocolate and candy have maintained a somewhat of negative reputation since. Today, eating too much chocolate or candy can be seen as a slippery slope toward obesity rather than other bad habits like drinking. Ever since people began to view chocolate as unhealthy, whether it is because of its connection to the the temperance movement or to obesity, the conversation has shifted about how to enjoy in moderation. Today, however, there is a lot of conflicting information about whether or not chocolate contributes to health. I asked some of my peers and family members whether they not they thought chocolate was healthy, and there were conflicting answers. A lot of them followed up by asking what kind of chocolate was I talking about? My mom, for example, said that “it’s good if you stay away from the Hershey’s crap, but dark chocolate is good for you!” When I pressed and asked her to elaborate on how it’s good for you, she sheepishly admitted that she didn’t actually know and had just “read stuff.” Before taking this class, I would likely have said the same answer, however, there are various studies that confidently show that consuming some chocolate can have health benefits. For example, chocolate can improve cardiovascular health since there is an inverse association between chocolate flavonoid intake and coronary heart disease mortality in men and women by several studies over many countries” (Albritton 345). These kinds of studies are common, and there is no shortage of research sharing chocolate’s health benefits. Harvard this past month even cited an article on the Harvard Medical School Harvard Health Blog suggesting that chocolate can help with vision because the “cocoa flavanols enhance availability of oxygen and nutrients to the blood vessels of the eye and brain” (Tello 2018). It is important to note that most of these studies are looking at dark chocolate, rather than the chocolate candy that comes to mind when we think of chocolate. The early consumers of chocolate clearly had the right idea in mind when consuming chocolate as medicine, and now we have scientific studies that do demonstrate chocolate’s health benefits. Even though chocolate has many great health benefits, most of the chocolate that Americans consume is detrimental for their health. Marketers take advantage of these studies on dark chocolate in moderation and hope that consumers assume that it applies to the kinds of candy bars that line the aisles of supermarkets, gas stations, and vending machines. By placing chocolate in these highly visible areas, marketers are taking advantage of “impulse marketing” that “deliberately encourage consumption” (New England Medical Journal 8). Candy and chocolate manufacturers are putting consumers at risk for over consuming highly processed chocolate and not giving them the full understanding of the potential health risks of overconsumption. This advertisement from Nutella is deceptive and not totally honest about its healthiness. 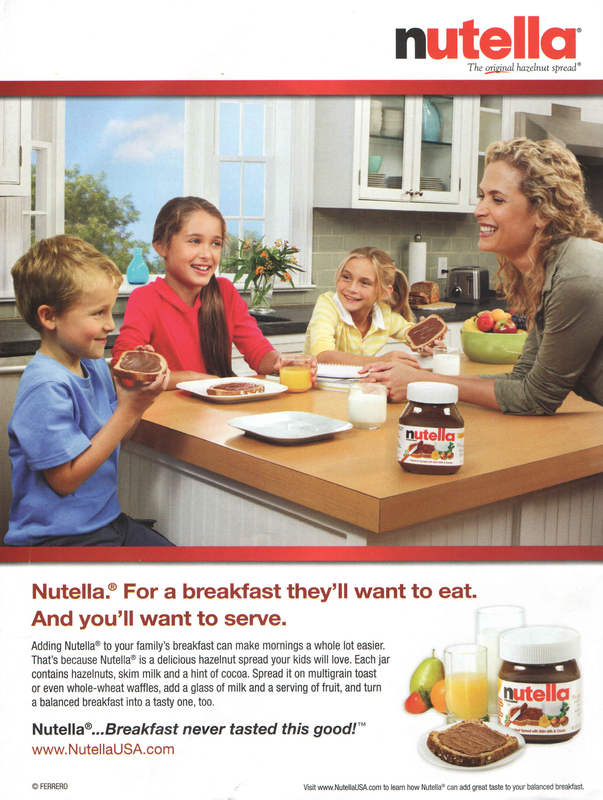 For example, this advertisement from Nutella, a chocolate hazelnut spread, suggests to consumers that Nutella is a healthy food that kids can eat for balanced and nutritious breakfast. They even list the ingredients and tell the consumers that it’s mostly hazelnuts with just “a hint of cocoa.” However, if you look at the nutrition facts and do a little more digging, like this particular video did, it becomes apparent that Nutella is not the kind of balanced breakfast you would want your children to eat. Although chocolate does have some health benefits, consumers are more often consuming too much of the bad kind of chocolate because they’re overwhelmed with misinformation. Overall, chocolate and cacao have had an interesting relationship with health since the beginning of its consumption. Early cacao lovers had deep cultural and ritualistic ties to cacao, and truly believed in its ability to heal and act as medicine. As time progressed, chocolate lost much of its cultural and medicinal significance and when it became industrialized it completely changed chocolate. This new chocolate was cheaper, accessible, and contained less chocolate and more sugar and fat. This lead to an increase in skepticism of chocolate’s health, and people believed that over consuming chocolate had dangerous risks for both one’s health and one’s lifestyle. Even though consuming chocolate in moderation is still a good rule of thumb for healthy chocolate consumption, modern science now shows that there are positive health benefits to consuming chocolate. However, most chocolate consumers are over consuming the over processed chocolate because of the deceptive marketing from chocolate companies. Chocolate’s relationship to health has been complicated since the beginning, and that still rings true for today. However, even though modern chocolate can have some health issues, it is a relief to know that chocolate can benefit the body just as it benefits the soul. Albritton, Robert. “Between Obesity and Hunger: The Capitalist Food Industry.” 2012. pp. Bodily Fluids” Wikimedia Commons. Web. 22 November 2010. “Chilam Balam de Chumayel” Web. 26 August 2010. Melinda Stuart. Coe, Sophie D. and Michael D. Coe. The True History of Chocolate. Third Edition. Thames & Hudson Ltd: London, 2013. Print. Cuisine and Class: A Study in Comparative Sociology, Cambridge University Press, Cambridge, 1982, pp. 154–174. Themes in the Social Sciences. Kawash, Samira. Candy: a Century of Panic and Pleasure. Faber & Faber, 2013. 1573–1584. PMC. Web. 8 May 2018. University, AAAS E-119. Cambridge, MA. Lecture. Green & Black’s, a popular bean to bar company offers a chocolate bar completely outside of the realm of the common candy bar. However, the company’s outward ethical stance is at odds with the practices of its parent company Mondelēz International. Green & Black’s believes in a bean to bar ethical standard, meaning they expect co-manufacturers, partners, and sources to uphold certain standards in terms of wages and labor expectations. Green & Black’s marketing centers on their ethics; this is emphasized by their grassroots origin story. According to their website, Green & Black’s, founded in 1991 by Craig Sams and Jo Fairley, launched with a mission to create chocolate with the finest and most sustainable sourcing principles (Green & Black’s: Our Story). Craig Sams, founder of organic food company Whole Earth, was sent a sample of 70% dark chocolate made from organic cocoa beans. He left the half-eaten bar behind, only for his wife Jo Fairley to try it. They fell in love with the taste and set out to sell it to others. Today, Green & Black’s has a wide collection of bars, which are “all expertly crafted with hand-selected, ethically sourced cocoa beans” (Our Story). Green & Black’s were the UK’s first Fair Trade chocolate bar and in 2012, they launched Cocoa Life, a “third party verified cocoa sustainability program” which they certify their bars with (Green & Black’s: Responsibility). The chocolate industry is inundated with bars from major manufacturers that do not offer ethical verifications, no not present an upscale image, and do not offer transparency in their sourcing. Thus, Green & Black’s stands out among the common cheap candy bar. However, the Green & Black’s ownership by Cadbury and Mondelēz International (formerly Kraft Foods) undermines the company’s brand. While Green & Black’s seems to offer an ethical choice to consumers, it’s ownership by major manufacturers cheapens it’s brand by tying it to chocolate companies with possible unethical practices. Green & Black’s gourmet chocolate offerings are full of variety. They offer bars under the categories of “dark,” “milk,” “organic,” “white,” “salted,” “nuts,” “caramel,” “fruit,” “mint,” “toffee,” and “ginger.” With around 17 different bars, Green & Black’s flavors extend from 70% dark to pure milk chocolate to dark with raspberry and hazelnut (Green & Black’s: View Chocolates). Promoting the quality of their products, Green & Black’s writes the green “symbolizes our commitment to always sourcing ethical cocoa” and black stands for “our high quality and the delicious intensity of our chocolate” (Our Story). With an organic line, Green & Black’s successfully creates candy that caters to the rising interest in organic foods. Organic foods are foods grown without pesticides, fertilizers, or other chemicals (Martin Lecture: Alternative Trade). Foods that do not carry the organic label may possibly use these products in agricultural production, or in other stages of manufacturing. These chemicals can be environmentally dangerous. Claire Williamson writes that “organic food has become an increasingly popular choice for consumer over recent years with salves of organic food increasing tenfold in a decade” (Williamson 231). Green & Black’s organic line thus targets specifically those consumers who buy in the interest of avoiding potentially contaminated food, despite the insufficient amount of studies to suggest that conventionally produced food have worse nutritional value (Williamson 234). However, Green & Black’s ensures that part of its audience includes organic food buyers through their products, which sharply contrasts the typical convenient store chocolate bar brand. In addition to Green & Black’s variation in flavor and target demographic, the company further separates itself from traditional candy by its branding; Green & Black’s distinguishes itself through its narrative, advertising, and packaging. A Green & Black’s bar is a refreshing new take on chocolate, as the use of bright colors, intense flavors, certification stamps, and luxurious designs in its website and social media elevate the bar as a gourmet item and not simply a snack food. Green & Black’s achieves this image through its marketing. Packaging, in particular, relates to food intake (Argo and White 67). The colors and shape of a package influence a consumer’s decision to buy it, by making consumers believe it tastes better (Miller). For example “the yellow hue of a 7Up can make the soda taste more lemon-y” (Miller). Thus, Green & Black’s takes advantage of this psychological phenomenon. Their packages use bright colors with bold fonts. Some of the bars are packaged in paper rectangles, giving the bar a more upscale exterior. The look of a Green & Black’s bar is luxurious and high end, when compared to Snickers or M&M bag. In chocolate packaging, visual cues and promotional cues have a “direct positive significant effect in the buying influence of chocolates” (Shekhar and Raveendran 55). Indeed, Green & Black’s takes advantage of the power of color – the most important too for “emotional expression of a package” (Shekhar and Raveendran 56). Shekhar and Raveendran argue that in chocolate packaging the size, shape, and color influence the consumer’s decision to buy. Green & Black’s stands out for its use of elegant black combined with bright colors that suggest refined taste but also gourmet flavoring. Shekhar and Raveendran conducted a study of chocolate buyers and found that students were influenced in purchasing chocolate based on visual cues alone. Green & Black’s chocolate is thus a completely stand out brand. The offerings are diverse, have exciting colors, and their promotional websites and social media brand them as a fine chocolate. However, Green & Black’s packaging further works to attempt accurately represent their ethical stance as well, through certification stamps. The cocoa life and fair trade certification suggest the company engages in ethical practices and works to invest in community development projects (Fair Trade America). However, given the little knowledge consumers have about fair trade and other certifications, Green & Black’s packaging comes off as simply a lifestyle and aesthetic choice for consumers, rather than an ethical choice. For example, Green & Black’s’s Instagram page @greenandblacks has no posts referring it’s certifications or ethical processes. Instead, the Instagram is a lifestyle page of bright colors, coffee cups, fruit bowls, and plants next to chocolate bars. What the Green & Black’s’s Instagram page seems to be selling is not simply chocolate, but a way of life. The biography states, “Green & Black’s create delicious ethically sourced chocolate from the finest ingredients” (@greenandblacks). But a typical posts celebrates Easter or Father’s Day and suggests that followers buy Green & Black’s to celebrate the holiday. Indeed, the branding of Green & Black’s confuses the message of ethically-sourced and organic food by instead promoting a lifestyle full of bright colors and upscale food. In Raising the Bar: The Future of Fine Chocolate, Pam Williams and Jim Eber suggest that the finest part of fine chocolate is the packaging alone. This is because defining premium chocolate is a grey area (Willams and Eber 168). There is no expectation for cacao percentages bean quality, or location of the chocolate source. Truly, Green & Black’s premium label is a work of personal brand and not simply fact. While Green & Black’s is distinct for its bright colors and certifications, the company holds ties to business that is not as ethical as Green & Black’s claims to be. In 2005, Cadbury bought Green & Black’s and it became part of Mondelēz International (formerly Kraft foods). Both Mondelez and Cadbury have a poor record in sustainable and ethical chocolate sources. NGO Might Earth found that Mondelez was using cocoa grown illegally in protected areas in the Ivory Coast and Ghana (Chocolate’s Dark Secret). In certain areas, the actions of the companies have led to massive deforestation – a study by Marius Wessel and Foluke Quist-Wessel found that the search for new land to accommodate the increasing cocoa production in Côte d’Ivoire and Ghana has led to “large-scale deforestation” as farmers establish new farms in the forest zone (Wessel and Quist Wessel). Since then, however, Mondelez has lead the private sector in forming initiatives to combat deforestation through a Cocoa Life program (Mondelez International). According to a 2015 press release on the Mondelez website, Cocoa Life is a “$400 million investment to empower 200,000 smallholder farmers and create thriving cocoa communities in Côte d’Ivoire and five other cocoa origins. Through Cocoa Life, Mondelēz International will participate in Côte d’Ivoire’s national REDD+ program to support the country’s bold ambition to reach zero-net deforestation in cocoa” (Mondelez International). Although Mondelez is acknowledging deforestation and working to fix it, it’s impact and practices in the region are a stain on the company that now connect it with Green & Black’s. In its report, Might Earth notes that “in West Africa, chocolate is rare and unaffordable to the majority of the population. Most Ivorian cocoa farmers have never even tried chocolate” (Chocolate’s Dark Secret). Mighty Earth underscores the biggest hypocrisy in big chocolate business – that the regions in which major companies create chocolate are the same ones that suffer from its worst environmental impact while simultaneously, the farmers there are not able to enjoy the products they create. Wessel and Quist-Wessel offer to companies proposing to make change: “take also into account aspects of the rural infrastructure such as education, health, and roads and access to credit and inputs” (Wessel and Quist Wessel). Additionally, their analysis pushes for companies to find advancements that allow more cocoa to be grown on less land as climate change and increasing demand for production will have a “negative impact on the size of the present cocoa growing area” (Wessel and Quist-Wessel). Recently, Green & Black’s has also adopted the Cocoa Life stamp for their products. However stamps such as Cocoa Life, while they represent great investments in sustainable food sources, further confuse consumers. Increasingly, more companies are establishing their own forms of certification for their products. However, this undermines Fairtrade through alternative certifications that simply confuse consumers. For example, Mars established a certification plan. Other certifications include Fair for Life, UTZ Certified, and Rainforest Alliance. However, customers who already don’t understand Fair trade, are negatively affected by this. More certifications lead to disinterest and an unwillingness to understand the differences between the certifications. In 2011, NPR Morning Edition argued that Fair Trade labels confuse coffee drinkers, particularly as what is “fair trade” evolves (Carpenter). The Guardian agrees that Fair Trade is confusing and broad, referencing a survey of 1,000 shoppers conducted by consumer group “Which?” (Smithers). According to the survey, “seven out of 10 UK customers “admitted they would pay more attention to the environmental impact of the foods they buy if labels were clearer and more meaningful” (Smithers). Green & Black’s “Cocoa Life” only adds to this problem. Fair Trade labels are poorly understood and there are far too many of them for consumers to keep up. The survey also found that “Nearly half the respondents (47%) said there were already too many things to think about already without worrying about the environmental impact of the food they buy” (Smithers). Thus, consumers cannot be left to understand the growing landscape of Fair Trade certifications. It should be on Green & Black’sand Mondelez International to make it clear on their packages what exactly “Cocoa Life” means. At face value, the label looks promising to consumers who look for certifications, however, consumers do not actually understand what separates one form of certification from another. Ultimately, Green & Black’s stands out as a fine chocolate maker with ethically and sustainably sourced cocoa. Despite this, Green & Black’s suffers from many of the same failures of the major chocolate and candy sellers: they contribute to a business that confuses it’s buyers. Their marketing strategy is more of a lifestyle brand and their use of bright colors attracts buyers more interested in design than content. Additionally, Green & Black’s parent company does not leave them controversy-free; they must work to overcome environmental and economic damage that their products have caused in particular regions. Carpenter, Murray. “Fair Trade Labeling May Confuse Coffee Drinkers.” NPR, NPR, 30 Nov. 2011. “Fairtrade America.” Fairtrade Certified Coffee – Fairtrade America. “Chocolate’s Dark Secret: Investigation Links Chocolate to Destruction of National Parks.” Mighty Earth, 29 Mar. 2018. “Mondelez International to Lead Private Sector Action in Côte D’Ivoire’s Program to Combat Deforestation.” Mondelēz International, Inc., ir.mondelezinternational.com/news-releases/news-release-details/mondelez-international-lead-private-sector-action-cote-divoires. “Our Story | GREEN & BLACK’S Our Story.” Green & Black’s, us.greenandblacks.com/our-story. Shekhar, Suraj Kushe, and P. T. Raveendran. “Chocolate Packaging and Purchase Behaviour: A Cluster Analysis Approach.” Indian Journal of Marketing, vol. 43, no. 6, 2013, p. 5., doi:10.17010/ijom/2013/v43/i6/36388. Smithers, Rebecca. “Food Labelling Confuses Ethical Shoppers, Says Survey.” The Guardian, Guardian News and Media, 27 Sept. 2010. Wessel, Marius, and P.m. Foluke Quist-Wessel. “Cocoa Production in West Africa, a Review and Analysis of Recent Developments.” NJAS – Wageningen Journal of Life Sciences, vol. 74-75, 2015, pp. 1–7., doi:10.1016/j.njas.2015.09.001. Williams, Pam, and Jim Eber. Raising the Bar: the Future of Fine Chocolate. Wilmor Pub., 2012. Williamson, Claire. “Organic Food: Is It More Nutritious?” Practice Nursing, vol. 19, no. 5, 2008, pp. 231–234., doi:10.12968/pnur.2008.19.5.29218. Pithy, punchy, and powerful, these two sentences greet every visitor to ’57 Chocolate’s website, a sleek, black-and-white affair that serves as the brand’s online point of contact for customers, brand collaborators, and global enthusiasts of fine chocolate. Though these sentences are crafted to introduce visitors to the company briefly, they efficiently allude to a number of ways in which this chocolate company grapples with key issues that plague the contemporary chocolate industry. Their reference to “artisanal chocolate made from bean to bar” in tandem with the site’s carefully curated aesthetic might simply seem like an attempt to establish ’57 chocolate as a luxury brand, but it also implies certain small-scale production practices that are more ethical and sustainable than those of the conglomerates producing the bulk of the world’s finished chocolate products. Their insistence on the “dynamic duo” of sisters behind the brand serves as a fruitful entry point to a discussion about marketing in the chocolate industry, because it departs from the norm in a few meaningful ways. And finally, the positioning of the brand as “revolutionary” is far from an arbitrary marketing decision, though the uninformed consumer might assume as much. In fact, it is a strategic move to grapple with issues of income imbalance across the chocolate supply chain that perpetuates centuries-old power dynamics by disadvantaging the so-called global south—namely South America, Africa, and South Asia—and pushing profits to North American and European chocolate retailers. This essay will use secondary literature to explicate the magnitude and implications of each of these three issues, and then it will turn to primary sources—emphasizing ’57 chocolate’s very own marketing material as well as contemporary reporting on the company—to explore how ’57 Chocolate performs meaningful work to right the wrongs that plague the contemporary chocolate industry. As a bean-to-bar chocolate company, ’57 Chocolate is part of a growing movement to promote increased literacy about the origins of the cacao in a given chocolate bar. By tracing the trajectory of the cacao from its beginning as beans all the way to its final product, these companies attempt not only to give due credit to the countries providing the raw material that goes into a chocolate bar but also, so the theory goes, hold more members of the chocolate supply chain accountable for ethical business practices. There are a few key ways in which Big Chocolate creates issues in the supply chain, and ’57 Chocolate addresses virtually each of these problems. First, by nature of being a small-scale producer, ’57 Chocolate aids farmers by buying cacao in smaller batches directly from farmers and thus pushing profits to those at the very beginning of the chocolate supply chain.’57 Chocolate explains on its website that the company aims to “add value…to the cocoa farmer—on a local scale.” To the uninitiated, the weight of these words may not be apparent, but they actually imply an important attempt to invert the flow of revenue in the chocolate supply chain to the most time- and labor-intensive jobs. One of the most upsetting injustices of the cacao supply chain is that profit margins are highest at the end of it and lowest for those who perform the physical labor that initiates the process. While farmers in the global south earn only a 3% margin on their cacao, retail boutiques and supermarkets in the global north earn a 43% margin on their chocolate products. This is because the cacao supply chain is especially elongated in order to benefit large-scale chocolate producers like Nestlé, Hershey, and Mars. These companies buy chocolate from Africa in such bulk that they require sourcing from small cacao farms across the country in order to meet their demands. The trajectory of a cacao pod from its farm to a large batch in an African port is a long one made up of many middlemen; each time it exchanges hands, its price rises. Meanwhile, Big Chocolate companies negotiate reduced prices for cacao, because they buy it in bulk. As a result, cacao farmers in Africa are routinely forced to sell their product for as low a price as possible so that everyone downstream of them in the supply chain can still make a profit. Not to mention, as an agricultural commodity, cacao’s price is volatile. In short, cacao farmers cannot count on a stable income from their jobs. Given this contextual information, it becomes clear how ’57 Chocolate’s focus on small-batch, locally sourced cacao aids the farmers with whom they work. Though artisanal chocolate producers cannot single-handedly right the wrongs of Big Chocolate, the rise of small-scale producers who focus on bean-to-bar production is a net positive for African cacao farmers. ’57 Chocolate’s focus on creating bean-to-bar products means that they are not interested in buying cacao that has been sourced from farms all over Africa. Instead, they form direct relationships with individual farmers to ensure that they know the origins of the beans in their chocolate bars. By cutting out the middlemen, they push profits directly to those at the beginning of the supply chain. As well, by purchasing small batches, ’57 Chocolate does not negotiate discounted, bulk rates for their cacao. Instead, they pay a premium and thus provide farmers a livable wage. Yet another issue that plagues the chocolate industry is that of toxic marketing—in the form of brand positioning, chocolate bar packaging, and advertisements—that either obscures or completely fails to confront the political, social, and economic issues in the chocolate supply chain as delineated above. As Emma Robertson argues, “chocolate marketing often encourages us to indulge in a depoliticized moment, to ‘Have a Break’; [but] this moment…is and has always been deeply political.” Indeed, even after the brief discussion of supply chain imbalances above, it is clear that eating chocolate is a politically loaded activity. Knowing this, lighthearted ads concerned with self-care and indulgence seem surprisingly myopic. Moreover, chocolate marketing often tends to make use of debilitating sexist and racist imagery that either erases the people of color from the narrative about the chocolate’s production or perpetuates negative stereotypes about femininity. Robertson puts it elegantly when she writes, “the cultural construction of chocolate in marketing has …relied on and produced hegemonic narratives of gender, class, race, and empire.” In short, chocolate marketing has routinely perpetuated racist and sexist narratives. Indeed, there is a long history of minimizing the importance of manual labor in the supply chain, which is often performed by people of color. Robertson points out as much when she demonstrates that “despite encouragement from modernists in the 1930s to include representation so production on chocolate packaging, [she] found no evidence of either packaging or advertising which depicted chocolate workers.” In addition to this erasure of labor, advertisements also cast black bodies as peripheral to the consumption of chocolate, as they only ever afforded white people the privilege of purchasing and eating it. She writes, “both Rowntree and Cadbury adverts created a world of white consumers in which the black producers of cocoa beans and the black consumers of chocolate were at best pushed to the margins, if not excluded completely.” Finally, advertisements routinely minimized the work of female laborers in the production chain, only to fetishize motherhood and white female sexuality in their ads. Certainly, elitism in the form of racism and sexism permeate all types of chocolate marketing. Happily, ’57 Chocolate combats this issue in a variety of ways. The first and most noticeable is by means of their brand statement. ’57 Chocolate identifies its brand most prominently by its co-founders, “a dynamic duo of Pan-African sisters.” This is powerful because it emphasizes that not only two women but also two people of color are the brilliant business minds behind ’57 Chocolate. By providing the precise location of their offices—in Accra, Ghana—the sisters encourage readers to imagine corporate offices in a Ghanaian city, creating rich imagery of industrious, clever, and successful female businesswomen working out of a city in Africa. 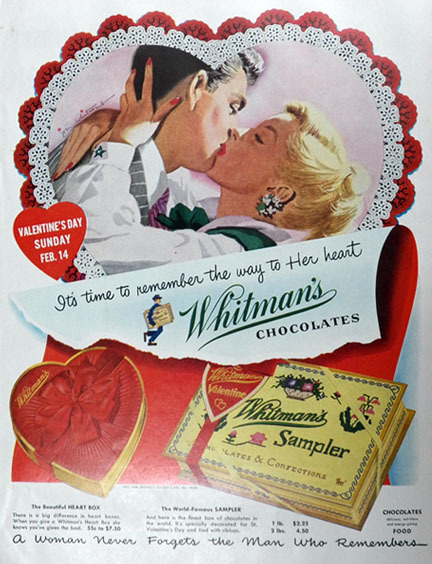 In fact, the sisters’ strategic marketing by way of this brand statement has been effective by all accounts, as every news source to report on ’57 Chocolate identifies the brand by way of its two female co–founders in the very title of their articles. To reinforce this, the sisters devote an entire page of their website to mini biographies of themselves. 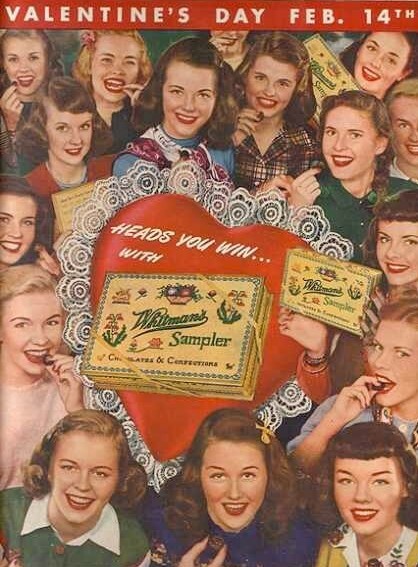 In so doing, they firmly establish their authority and clout and thus cast women of color in a more positive manner than they have historically been shown in chocolate marketing. Finally, ’57 Chocolate rectifies the issue of erasure that has plagued much chocolate marketing. Each bar is “engraved with visual symbols originally created by the Ashanti of Ghana,” who play a large role in growing and harvesting the cacao that is ultimately made into these chocolate bars. By exhibiting Ashanti art on perhaps the most prized real estate in the world of chocolate marketing—on the bar itself—Priscilla and Kimberly Addison afford African men and women the opportunity to engage with chocolate as more than simply manual laborers but also brand-creators and artists. This, like everything else about the brand’s marketing tactics, enacts a powerful restructuring of historically detrimental paradigms. Yet a third issue in the cacao industry today is the inexplicable and unwarranted derision aimed at African cacao. This is unfortunate, especially considered that Africa is the primary provider of cacao to the global market. Though the biological origin of cacao lies in Mexico and Central America, the Portuguese transported the so-called “forastero” variety of cacao to Africa in 1824 to avoid scrutiny of their labor practice son plantations in South America. Today, African cacao farms produce 72% of the world’s total cacao, though the country only consumes about 4% of the world’s chocolate. Profs. Sophie and Michael Coe point out that it is “supremely ironic that West Africa, from which so many hundreds of thousand shad been torn against their will to work as slaves in the white man’s cacao plantations, should now be by far the world’s leading producer of cacao.” Indeed, it is a travesty that the same country whose population was decimated in the seventeenth century in order to perform coerced labor on plantations in South America should now find itself hosting those very same systems on its own soil without enjoying any of the benefits of this labor. Even worse, misunderstandings about the differences between cacao varieties has led to an unwarranted lack of respect for the forastero ilk of cacao beans that are cultivated in Africa. The term was initially developed alongside two others—criollo and trinitario—to describe what many believed to be the least tasty type of cacao bean. However, it has since been proven that these designations do not mean much, and that forastero beans feature flavors just as complex as the other two types of beans. Sadly, the stigma has remained, and very few bean-to-bar companies have cared to source their cacao from Africa under the impression that it will not taste good. ’57 Chocolate thus acts as a leader in the artisanal chocolate space by sourcing its cacao from Ghana and celebrating the complexity of the flavor of the beans. By producing, marketing, and selling a line of craft chocolate bars made entirely from Ghanaian beans, the Addison sisters are helping to redefine people’s perceptions of African cacao as simply a low-grade product to be bought in bulk. In addition to this, the sisters perform the important work of establishing Africa as a tastemaker in haute patisserie just as France has done. In her exploration of the development of a culture surrounding high-end cacao in France, Susan Terrio incisively points out that it is the craft chocolate makers and retailers who hold the most power and cultural capital in the cacao supply chain. She writes, “in contemporary economies, cultural tastemakers determine fashion and shape taste for prestige commodities. They collaborate and negotiate with producers to establish the principles that govern expert knowledge and refined taste.” In other words, those who operate at the end of the chocolate supply chain do not only make the largest profit margin but also enjoy the privilege of dictating global tastes. The Addison sisters seem to know this intuitively, as they explicitly state that the main goal of their company is to “inspire the people of Ghana, especially the youth to not be satisfied at merely selling and trading the country’s natural resources or other items in their “natural” state, but to use their minds and creative geniuses to transform these resources and items by creating and developing made in Ghana products of premium value.” In this light, the Addison sisters’ company is not simply one that brings justice to the forastero variety of cacao bean cultivated in Africa nor simply raises awareness about ethical sourcing and production in chocolate. Though it does both of these things, their company also establishes Africa as a global competitor with Europe and North America in the arena of determining tastes and shaping culture. Coe, Sophie D. and Michael D. Coe. 2013. The True History of Chocolate. 3nd ed. London: Thames & Hudson. Martin, Carla D. Lecture. Harvard University, Cambridge, MA. Jan. 24, 2017. – – -. Lecture. Harvard University, Cambridge, MA. Feb. 14, 2017. – – -. Lecture. Harvard University, Cambridge, MA. Mar. 21, 2017. – – -. Lecture. Harvard University, Cambridge, MA. Mar. 28, 2017. – – -. Lecture. Harvard University, Cambridge, MA. Apr. 18, 2017. Robertson, Emma. 2010. Chocolate, Women and Empire: A Social and Cultural History. pp. 1-131. Terrio, Susan J. 2000. Crafting the Culture and History of French Chocolate, pgs. 1-65. Martin, Carla and Sampeck, Kathryn, 2016, “The Bitter and Sweet of Chocolate in Europe,” 54. Robertson, Emma, 2010, Chocolate, Women and Empire: A Social and Cultural History, 13. Coe, Sophie D. and Michael D. Coe. 2013 , The True History of Chocolate. 3nd ed. London: Thames & Hudson, 17. Lecture, Jan. 24, 2019 and Lecture, Mar. 21, 2018. Terrio, Susan J, 2000, Crafting the Culture and History of French Chocolate, pg. 41. Ever since the Spaniards discovered the new world, and along with it, discovered chocolate, chocolate consumption has been associated with medicinal benefits. Hernández’s description firmly set chocolate in the medicinal conversation of Europe forevermore. The use of chocolate as medicine persisted in European history. The medicinal properties of chocolate beverages were cited by Francesco Maria Brancaccio in 1664 as an argument for why chocolate beverages should be permitted during times of ecclesiastical fasting (Coe and Coe 149). Most 18th century authorities believed that, as long as it was not consumed in excess, chocolate was on the whole very beneficial to one’s health. Though much of the conversation about chocolate as medicine was centered around its physical benefits, people also began to suggest mental benefits of chocolate consumption as well. In his 1591 treatise on New World foods, Juan de Cárdenas asserted that chocolate consumption, among its other properties, could make one “happy” (Coe and Coe 123). Later, in the 1600s, marquise de Sévigné, Marie de Rabutin-Chantal, advises a correspondent who was apparently not sleeping that “chocolate will set you up again” (Coe and Coe 155). These early attestations to beneficial psychological effects of chocolate consumption paved the way for modern beliefs in chocolate’s psychological effects, as a mood enhancer. The public’s belief that consuming chocolate will boost their mood has greatly impacted the modern chocolate market. A recent report by Mintel (2016) “found 24% of British consumers say they have bought chocolate confectionery in the last three months to boost their mood, while 64% of Chinese consumers agree that eating chocolate is an effective way to relieve stress” (Yu). Many chocolate companies advertise in such a way as to capitalize on the mood-enhancing effects of chocolate. Depicting many of the psychological effects attributed to chocolate consumption in the modern age, this particular image is used by Fondant Chocolate, a premier chocolate company in India, as part of its marketing. This demonstrates how the modern chocolate market benefits from public belief in the positive psychological effects of chocolate consumption. Many people seek out chocolate for its mood-enhancing benefits, but this essay will focus on a group of people who use chocolate for much more than cheering themselves up on a bad day: those diagnosed with bipolar disorder. It should also be mentioned that people with bipolar have low levels of the neurotransmitter serotonin, which is considered to be a naturally occurring mood stabilizer (Peeke). First, I will mention that the reason I picked this topic is because I am, myself, bipolar, and I, like many other bipolar people, have used chocolate to self-medicate. Many others with bipolar also use other, actual drugs to self-medicate (such as alcohol, cocaine, and heroin) and often develop substance abuse problems. I, however, never found comfort in a bottle. Chocolate was my self-prescribed mood-stabilizer, long before I had even received my diagnosis. It is my intention to share a little bit about my own use of chocolate as a mood-enhancer, before delving into the science and explicating why the use of chocolate as medicine, though not treating the same ailments as chocolate beginning in the 1500s, may actually have more clout than a simple urban myth. I am not exactly sure when my bipolar disorder began manifesting symptoms, but in hindsight, I can definitively say that by junior high, it was definitely in full-swing. My pre-teens through early college life were categorized by all the typical signs: extreme mood swings with intermittent periods of normalcy, ‘bipolar rage’ (blind, irrational, near-violent anger with no traceable cause), crippling anxiety, et cetera. I am not sure at what point my childhood love of chocolate became a realization that eating chocolate helped my mood, but at some point, I began to associate my turbulent moods with a solution: the consumption of chocolate. It made me feel better, especially in the moment, but eventually I would come crashing down, as my mood spiraled downward. I would thus seek out more chocolate to ease that depression, and thus I became as dependent on chocolate as an alcoholic is on alcohol to self-medicate. I became so dependent on chocolate as my self-prescribed mood enhancing drug that I actually developed compulsive-eating and binge-eating disorders (see also a blog about another bipolar person’s experience with this). Even my family recognized the power that chocolate had to improve my moods, and when they saw that I was struggling on a given day, their go-to method of cheering me up was giving me something with chocolate in it. I was not diagnosed with bipolar disorder until I was 20 years old, and it took until I was 22 to finally be put on the right dosage of the right medication: lithium. Lithium is arguably the oldest psychiatric medication around (in use during Classical times (Angst and Marneros)) and is a mood-stabilizer. Lithium will be very important in the science on chocolate as a mood-stabilizer that I outline below. Still, even though I am now on the right dose of the right medication, I still have mood swings, and when I do, my family still suggests chocolate as a remedy. Many studies have been conducted on chocolate as a mood enhancer. According to UNH Staff in their article, “2 Chocolate Benefits for Your Brain: Improves Memory and Mood”, “chocolate has been shown to improve depression and anxiety symptoms and help enhance feelings of calmness and contentedness. Both the flavanols and methylxanthines are believed to play a role in chocolate’s mood enhancing effects” (UNH Staff). In addition, the article cites several studies that showed chocolate consumption improved mood, and another study in which participants “felt more calm and contented after consuming a daily dark chocolate drink containing a high amount of polyphenols” (UNH Staff). These studies show that chocolate does indeed have a connection to ‘good feelings’, much as Juan de Cárdenas had asserted that chocolate could make one happy centuries earlier. Chocolate also contains phenylethylamines, which are a neurotransmitter that “in low levels, is associated with depression […] Phenylethylamines work by releasing endorphins in the brain and promote feelings of attraction and giddiness” (Chitale and ABC News Medical Unit). Between the low levels of serotonin, which cause cravings for carbs and sweets to spark pleasure centers in the brain and elevate mood (Peeke), and the low levels of phenylethylamines, people with mood disorders may actually be self-medicating with chocolate consumption, which compensates for those low levels. I must here take a slight detour from the discussion of the science-supported benefits of chocolate to set precedent for my conclusion. The American Chemical Society put out a summary of research that was delivered at one of their meetings, in an article entitled “Good Mood Foods: Some Flavors in Some Foods Resemble a Prescription Mood Stabilizer.” The research is exactly what the title suggests: “New evidence reveals the possibility of mood-enhancing effects associated with some flavors, stemming at least in part from natural ingredients bearing a striking chemical similarity to valproic acid, a widely used prescription mood-stabilizing drug” (“Good Mood Foods”). This suggests that some foods, far from simply providing a quick mood boost, could actually be used to medicate mood disorders, even if it were just as a supplement to actual medications. However, Rodrigues-Silva fails to mention an important function of magnesium: magnesium is frequently used as a supplement to aid in sleep for those with sleep disorders (common for people with bipolar disorder), but most importantly, recent studies suggest that magnesium can produce improvements in bipolar disorder similar to the improvements seen in patients who take lithium (Lake). That would put magnesium on the list of mood-stabilizers. You might remember how I said that the medication that stabilized my bipolar was lithium, and that before that, I was regulating my mood with chocolate consumption. If I, as a person with bipolar, craved chocolate when my moods were out of control, that would indicate that I might have been experiencing magnesium deficiency, according to Rodrigues-Silva. If magnesium, according to recent research, might be a mood-stabilizer, that would mean that when my bipolar disorder reared its ugly head, I was actually craving chocolate not as a quick mood enhancer but as a medication. I was, in all reality, actually self-medicating my bipolar with chocolate. It is not just an urban myth that chocolate will boost your mood — chocolate has, now, a firmly rooted place as a medicine, just as the Europeans had claimed centuries earlier, though for different ailments. So, what does this mean for the future of the chocolate industry? The chocolate industry already markets to and profits from people who believe that chocolate will boost their mood. Taking daily medications to manage mental illness is a hassle at best and impossible to remember at worst– and many people with bipolar simply do not want to take medication. Imagine if chocolate manufacturers began to market chocolate as an alternative or supplement to traditional mood-stabilizers. How many people would buy into that option? A lot of people, I reckon– and they would also need to consume chocolate en masse in order to get enough of a mood-stabilizing benefit day to day, sky-rocketing sales. It could be a great new direction for the chocolate market. “About Us – Fondant Chocolate.” Fondant Chocolate. Fondant Chocolate, n.d. Web. 10 May 2017. Angst, Jules, and Andreas Marneros. “Bipolarity from Ancient to Modern Times: Conception, Birth and Rebirth.” Journal of Affective Disorders 67.1-3 (2001): 3-19. Web. Baker, Kelley Thorpe. “Until I Pop: Emotional Eating and Bipolar Disorder.” Blog post. Bipolar Hope. Bipolar Magazine, 26 May 2015. Web. 10 May 2017. Chitale, Radha, and ABC News Medical Unit. “You Feel What You Eat.” ABC News. ABC News Network, 05 Mar. 2008. Web. 10 May 2017. Fisher, Carrie. Carrie Fisher, Harrison Ford, and Mark Hamill eat chocolate. Digital image. Daily Mail. Daily Mail, 9 May 2014. Web. 10 May 2017. Fisher, Carrie. Shockaholic. London: Simon & Schuster, 2013. Print. “Good Mood Foods: Some Flavors in Some Foods Resemble a Prescription Mood Stabilizer.” American Chemical Society. American Chemical Society, 19 Aug. 2012. Web. 10 May 2017. Krans, Brian. “7 Foods That Help to Calm Your Nerves During Bipolar Mania.” Healthline. Healthline Media, 12 Sept. 2016. Web. 10 May 2017. Lake, James. “Integrative Treatment of Bipolar Disorder: A Review of the Evidence and Recommendations: Page 2 of 4.” Psychiatric Times. UBM Medica, 03 July 2013. Web. 10 May 2017. “Learn.” International Bipolar Foundation. International Bipolar Foundation, 2017. Web. 10 May 2017. Mental Benefits of Chocolate Consumption. Digital image. Fondant Chocolate. Fondant Chocolate, n.d. Web. 10 May 2017. Peeke, Dr. Pamela. “Mood, Food and Bipolar Disorder: A New Prescription.” The Huffington Post. TheHuffingtonPost.com, 21 July 2014. Web. 10 May 2017. Rodrigues-Silva, Nuno. “Chocolate: Psychopharmological Aspects, Mood, and Addiction.” Chocolate in Health and Nutrition. Ed. Ronald Ross. Watson, Victor R. Preedy, and Sherma Zibadi. Totowa, NJ: Humana, 2013. 421-36. Print. Thompson, Dennis, Jr. “Sugar and Bipolar Disorder.” EverydayHealth.com. Everyday Health Media, LLC, 20 Mar. 2015. Web. 10 May 2017. UNH Staff. “2 Chocolate Benefits for Your Brain: Improves Memory and Mood.” University Health News. Belvoir Media Group, 20 Apr. 2017. Web. 10 May 2017. Yu, Douglas. “Happiness Factor: Emotional Benefits Are Top Chocolate Sales Drivers, Says Mintel.” ConfectioneryNews.com. William Read, 29 Mar. 2016. Web. 10 May 2017.